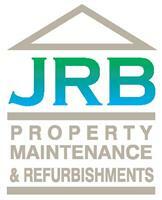 JRB Property Maintenance - Bathrooms, Kitchens, Tiler - Tiling based in Bromley, Kent. JRB Property Maintenance have been trading for 12 years, we are specialists in fitting kitchens and bathrooms offering experienced help with the design, layout and all aspects involving the construction of your new bathroom or kitchen. In addition to this we offer a high standard in wall and floor tiling including solid wood and engineered wood flooring. We are established within the field of painting and decorating including the hanging of fine wallpaper.